From an early age, I was always told that I'd make a great lawyer. Often to my parents' dismay, my ability to argue my case was a gift. While I always had some aptitude for negotiation and problem solving, I've made developing those skills, and the pursuit of excellence in the legal industry my life's work. When it came time for college, I attended my parents' alma mater, Samford University. I majored in philosophy–a pursuit that would later serve me well in my personal intellectual life and as an attorney. Upon graduating from Samford in 2005, I immediately began applying for law school so that I could begin my journey toward becoming an attorney. I was quickly accepted into the Cumberland School of Law at Samford University, allowing me to continue my studies in Birmingham, Alabama while I pursued my law degree. During my time in law school I developed my passion for using the law to achieve justice and effecting positive change in my community When it came time for me to graduate in 2008, I wasn't thinking about what areas of the law I wanted to focus on–although I probably should have. Instead, I was focused on being prepared to do whatever it takes to be an attorney that clients would be proud to have. People become lawyers for different reasons. I went to law school because I wanted to be a trial lawyer, and I wanted to help effectuate justice. Once I graduated, I worked hard to pass the bar that same year and was quickly recruited to work as an attorney for a well-established insurance defense firm. I would spend the next 3 years working as a defense attorney, evaluating and defending personal injury and workers' compensation cases for clients across Tennessee and Alabama. I was able to pick up valuable experience as a trial lawyer in both civil and criminal courts, honing my skills as an excellent negotiator and litigator. Despite the joy and success that I found working for an insurance defense firm, I still felt a desire to strike out on my own. So, I decided to leave the life of a big firm behind and open the doors to my very own firm, the Law Offices of Fisher Wise. I decided to do so with the intention of personally managing my own caseload so that I could better meet the needs of my clients by providing the highest level of legal counsel and representation to any client that walks through my doors. 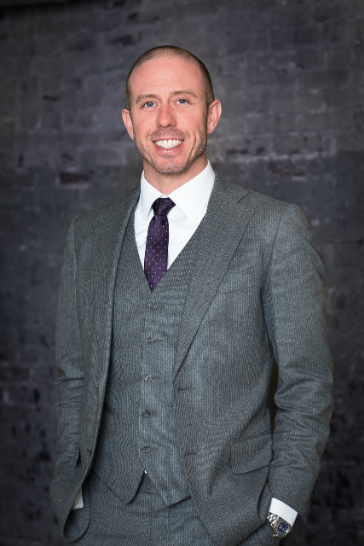 After years of running my own firm, I remain committed to that level of service, working hard to help the residents of the greater Chattanooga area with excellent legal counsel on matters of criminal defense, family law, and personal injury. My passion for fighting for the results my clients need is as strong as ever, and I'm proud to use my knowledge and experience to help anyone, regardless of circumstance, fight for their freedom, for their children, for their rights–for the justice they deserve.